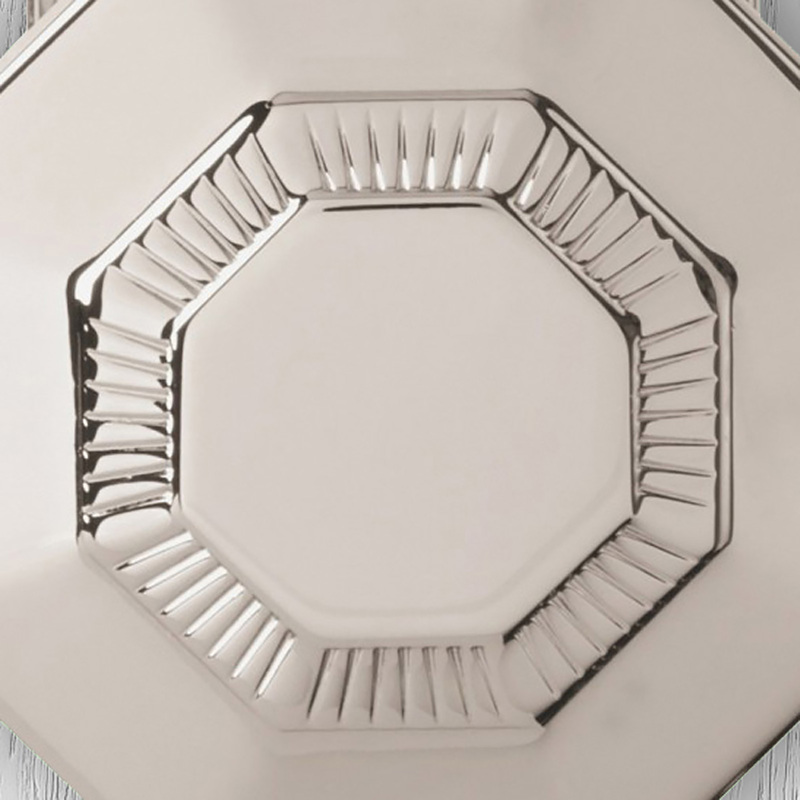 The softest of all finishes, polished nickel has the appearance of luxurious jewellery. Its luminosity is achieved by using the same diamond cut polishing method invented by watchmaker Patek Philippe. 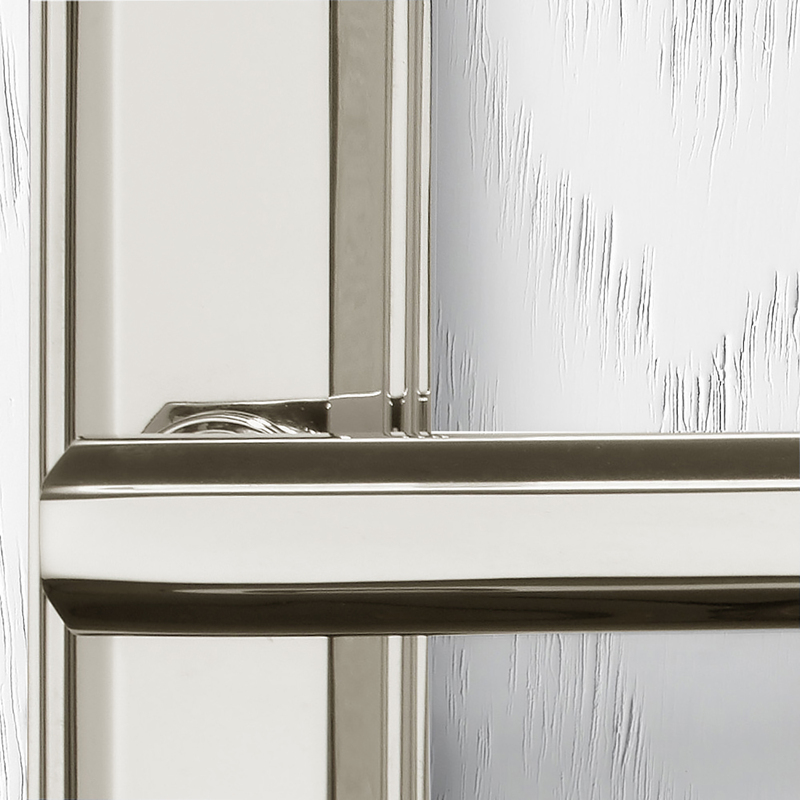 The polished nickel finish maximises the refraction of light in door hardware designs and lends itself to beautifully to intricate designs. 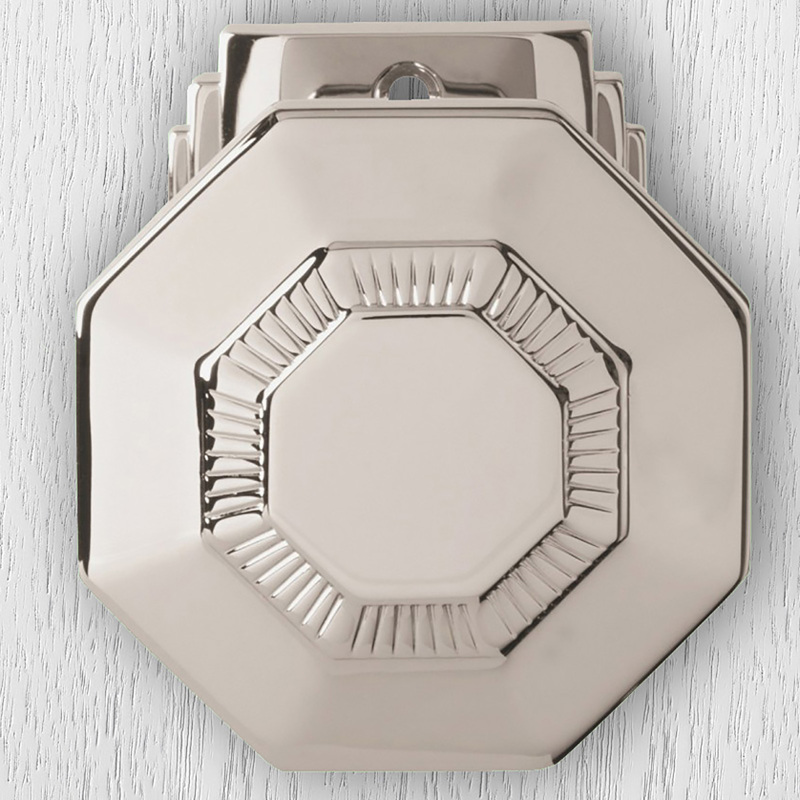 A first choice of finishes for Art Deco interiors of the 1950s, it is also suitable to art nouveau styles. 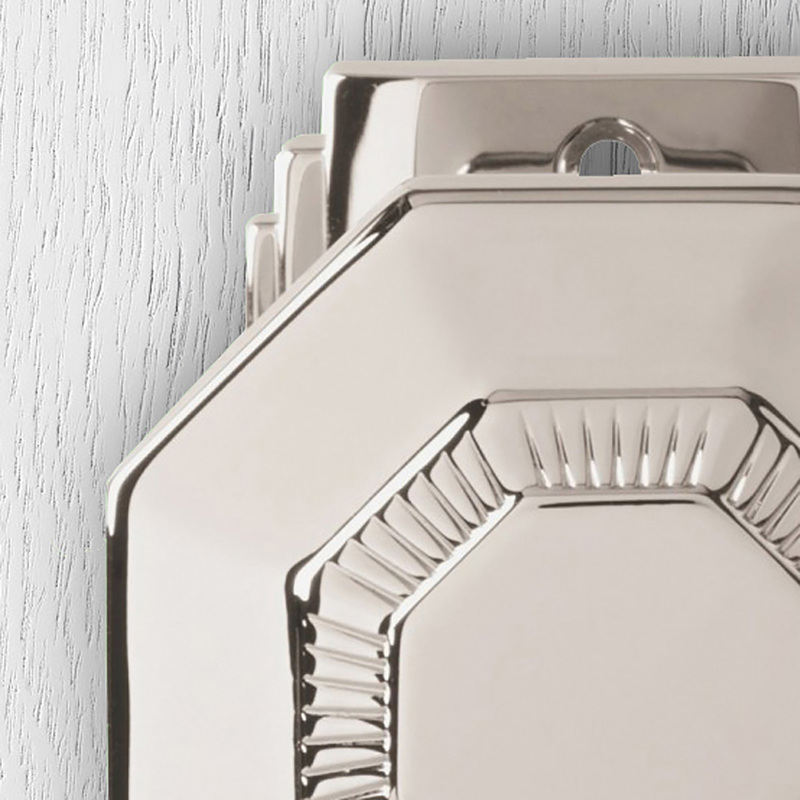 The Art Deco collection is featured in it’s entirety as available in polished nickel. Polished Nickel can scratch over time is not suitably cared for. Just like a precious piece of jewellery, it should be regularly cleaned and buffed. Clean with soft cloth, warm water and pH-neutral soap. Clean thoroughly to avoid residue build-up, which can eat away of the nickel finish.